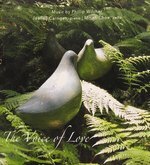 The Voice of Love : Music by Phillip Wilcher / Jeanell Carrigan, piano ; Minah Choe, cello. Recorded/performed at: Verbrugghen Hall, Sydney Conservatorium of Music, on 2017. Phillip Wilcher Jeanell Carrigan, Minah Choe 3 mins, 46 sec. Recorded/performed at: Verbrugghen Hall, Sydney Conservatorium of Music, on 2017. Phillip Wilcher Jeanell Carrigan, Minah Choe 1 mins, 12 sec. Recorded/performed at: Verbrugghen Hall, Sydney Conservatorium of Music, on 2017. Phillip Wilcher Jeanell Carrigan 12 mins, 11 sec. Recorded/performed at: Verbrugghen Hall, Sydney Conservatorium of Music, on 2017. Phillip Wilcher Jeanell Carrigan 2 mins, 56 sec. Recorded/performed at: Verbrugghen Hall, Sydney Conservatorium of Music, on 2017. Phillip Wilcher Jeanell Carrigan 14 mins, 45 sec. Recorded/performed at: Verbrugghen Hall, Sydney Conservatorium of Music, on 2017. Phillip Wilcher Jeanell Carrigan 4 mins, 50 sec. Recorded/performed at: Verbrugghen Hall, Sydney Conservatorium of Music, on 2017. Phillip Wilcher Jeanell Carrigan, Minah Choe 7 mins, 25 sec. Recorded/performed at: Verbrugghen Hall, Sydney Conservatorium of Music, on 2017. Phillip Wilcher Jeanell Carrigan, Minah Choe 2 mins, 26 sec. Recorded/performed at: Verbrugghen Hall, Sydney Conservatorium of Music, on 2017. Phillip Wilcher Jeanell Carrigan, Minah Choe 1 mins, 42 sec. Recorded/performed at: Verbrugghen Hall, Sydney Conservatorium of Music, on 2017. Phillip Wilcher Jeanell Carrigan 7 mins, 12 sec. Recorded/performed at: Verbrugghen Hall, Sydney Conservatorium of Music, on 2017. Phillip Wilcher Jeanell Carrigan 2 mins, 59 sec. Recorded/performed at: Verbrugghen Hall, Sydney Conservatorium of Music, on 2017. Phillip Wilcher Jeanell Carrigan 9 mins, 1 sec. Recorded/performed at: Verbrugghen Hall, Sydney Conservatorium of Music, on 2017. Phillip Wilcher Jeanell Carrigan, Minah Choe 2 mins, 23 sec. Recorded/performed at: Verbrugghen Hall, Sydney Conservatorium of Music, on 2017. Phillip Wilcher Jeanell Carrigan, Minah Choe 2 mins, 58 sec. Phillip Wilcher Jeanell Carrigan 2 mins, 58 sec. Recorded/performed at: Verbrugghen Hall, Sydney Conservatorium of Music, on 2017. Phillip Wilcher Jeanell Carrigan, Minah Choe 3 mins, 23 sec. Recorded/performed at: Verbrugghen Hall, Sydney Conservatorium of Music, on 2017. Phillip Wilcher Jeanell Carrigan, Minah Choe 2 mins, 57 sec. Recorded/performed at: Verbrugghen Hall, Sydney Conservatorium of Music, on 2017. Phillip Wilcher Jeanell Carrigan 2 mins, 55 sec. Recorded/performed at: Verbrugghen Hall, Sydney Conservatorium of Music, on 2017. Phillip Wilcher Jeanell Carrigan 1 mins, 20 sec. 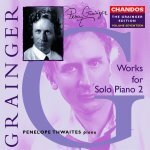 This double CD of music is composed by Phillip Wilcher and interpreted by Jeanell Carrigan, piano and Minah Choe, cello. Both these performers display extraordinary sensitivity and colour with rare musical intuition. 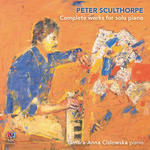 An outstanding collection of beautiful music for solo piano and cello and piano. Phillip has dedicated the CD to Rosemary Eather, a long-time friend and producer and host of the 1970s early morning children's television show, Good Morning with Rosemary, one of Australia's first weekday breakfast variety programs for children. Liner booklet includes programme notes and biographical information about composer and performers. Score: Legend : for piano / Phillip Wilcher. Score & Part: And with the rain, tears : cello and piano / Phillip Wilcher.